OVER 7000 SOLD!! VARIOUS OPTIONS TO CHOOSE FROM! Modern 3 way spiral arm design ceiling light fitting in polished chrome finish with swirl glass shades. 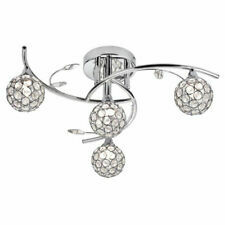 This contemporary ceiling light features an overlapping spiral design that looks great in any home. 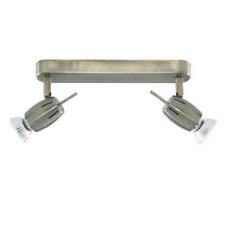 Ideal for lounges, dining rooms, hallways, kitchens and other living areas. .
MiniSun Light. Supplied with product guidelines and full fitting instructions. We want you to enjoy buying from us so we|||ll do all we can to make it so. OVER 2000 UNITS SOLD!! VARIOUS OPTIONS TO CHOOSE FROM! Supplied with product guidelines and full fitting instructions. MiniSun Light. White Finish. We want you to enjoy buying from us so we|||ll do all we can to make it so. Ideal for lounges, dining rooms, hallways, kitchens and other living areas. ceiling lights. Bulb Type : G9. Bulb Supplied : No. MiniSun Light. We want you to enjoy buying from us so we'll do all we can to make it so. Takes 4 x 50w max GU10 light bulbs. Quality 4 Way Adjustable Head Spotlight Bar. then fit the fitting onto the mount and tighten the screws on the fitting to tighten it to the mount. They look great as wall or ceiling lights. 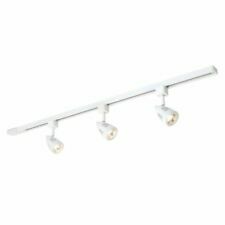 QUALITY BRAND**CHEAPEST PRICE ONLINE**FAST DESPATCH This four light spotlight bar boasts a stylish chrome bar frame that holds four adjustable spot heads which brings adjustable lighting to your home. 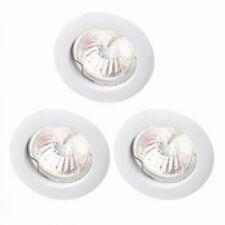 The four spotlights allows light to be direct where required which gives any room the best coverage of light possible. Product Type: Spotlight Bar Colour: Black Chrome Light Bulb Type: GU10 Number of Bulbs: 4 (Not Included) Max Bulb Wattage: 9 Watt Light Source: Halogen Height: 13.5 cm, Length: 76.5 cm, Width: 12.5 cm Material: Metal Features: Adjustable Head(s) Please note: Images are for illustration purposes only. Your order will be delivered by Royal Mail, unless the item(s) exceeds the size and weight restrictions. Larger, heavier items will be delivered by DPD courier. 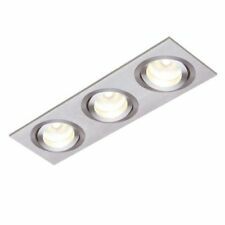 Modern 4 Way Spotlight Ceiling Light. All four heads are adjustable so that the light source can be directed as required. 50W GU10 Max (required). LED Compatible. Technical Details. Features reversible blades in black or silver finish. Ideal for most rooms, this ceiling fan has a directional motor so it can be used in both warm and cold conditions. 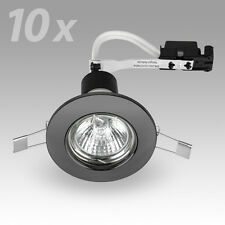 Integrated 4 Way Spotlight. minisun 4 blade ceiling fan with lights. Incandescent Bulbs & Tubes. CFL Compact Fluorescent Bulbs. Ceiling Pendants & Shades. Ceiling Down Lights. These are the highly demanding lights to recall the past in the present. Very stylish and elegant Lights. Takes 3 x 50w max GU10 light bulbs (Not included). Quality 3 Way Adjustable Head Spotlight Bar. then fit the fitting onto the mount and tighten the screws on the fitting to tighten it to the mount. They look great as wall or ceiling lights.